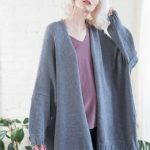 This free ladies long sleeve open and no button cardigan is stylish and cozy. 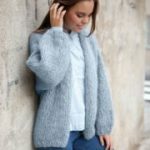 This is a cardigan knitting pattern that knits up very quickly with bulky yarn. You’ll love knitting and crocheting this very wearable cardigan.